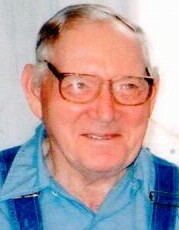 Willard E. Carrick, 90, of New Haven, MO, passed away Monday, August 20, 2018 at New Haven Care Center. Willard was born in Seymour, Missouri on March 20, 1928, a son of the late Webster Ivyl & Ada Lenora (Dunnegan) Carrick. He was the widower of Nora Ann (Rose) Carrick. They were united in marriage on July 21, 1956, in Piedmont, Missouri. Nora preceded him in death on May 30, 2015. He worked for Combustion Engineering in St. Louis. He also worked as a maintenance man for St. Louis Priory School. Willard is survived by two daughters, Deloris Smith & husband Michael, of New Haven, Missouri; and Donna Carrick, of New Haven, by a brother, Fred Carrick, of Cherryville, Missouri; two sisters, Margaret Phillpott, of Forsythe, Missouri; and Darlene Berns, of Springfield, Missouri; by grandchildren, Dawn Smith, of Union, Missouri; Christopher Smith, of New Haven; and Jennifer Canania & husband Travis, of New Haven, by great grandchildren, Jasmine, Brandon, and Brianna Canania, of New Haven, and by nieces, nephews, and other relatives and friends. He is preceded in death by his parents, his wife, a twin brother, Wilber A. Carrick, and two sisters, Maxine Cates, and Mildred Miller. Visitation will be held Wednesday, August 22nd from 4:00 p.m. to 8:00 p.m. at Toedtmann & Grosse Funeral Home, New Haven, where funeral services will be held Thursday at 11:00 a.m..
Burial will be at New Haven Cemetery. Memorials may be given to New Haven Care Center Activities Fund. C/O Toedtmann & Grosse Funeral Home.